Two wines stood out as favourites: finishing first with 23 pts was the Meursault Les Narvaux from Remi Jobard followed closely in second spot by the Chablis Grand Cru Les Clos from William Fèvre with 20 pts. The Pernand-Vergelesses 1er Cru Sous Frétille from Rapet Père & Fils came in 3rd with 15 pts. The most expensive wine, Meursault Les Tessons Pierre Morey (145$) finished dead last with only 2 pts. Six (6) tasters voted the Chablis Grand Cru Vaudésir Beaudoin Millet as a disappointment. The wine seemed a bit oxidised. The Puligny Les Tremblots Vieilles VIgnes from Hubert Lamy did not perform well with only 3 pts. It displayed a very subdued nose with hints of acetone. Both wines should be re-tasted to establish if these were off bottles. As for the mystery wine, eight (8) participants correctly identified wine #5 as the odd man out. But all were surprised by its origin: Chardonnay Sons de Prades 2015 Conca de Barbera, Torres (Spain). 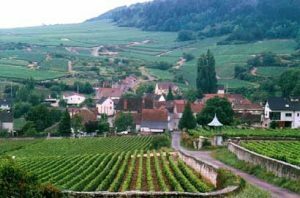 Most of the wines displayed typical characteristics of white Burgundies with surprising acidity for this fairly warm vintage. The best wines offered freshness, intensity, balance and good length. Not to mention great aging potential. My top three wines were: 1- Pernand-Vergelesses 1er Cru Sous Frétille, Domaine Rapet 2- Chablis Grand Cru Les Clos, William Fèvre 3- Meursault Les Narvaux, Remi Jobard. See my tasting notes below.